During testimony before the House of Commons' Select Committee on International Development, Paula Donovan offered "damning evidence about how things are today in the UN in terms of its systems,” said Stephen Twigg, the Labour MP who chairs the Committee. The Committee – whose mandate includes monitoring UN bodies, multilateral agencies, and non-government organizations to which the UK’s Department of International Development (DFID) contributes – is holding an inquiry on sexual exploitation and abuse in the aid sector. Donovan issued a powerful call for UN Member States to assert external oversight over the UN's response to sexual harassment, exploitation, and abuse. She described Code Blue's proposal for a Temporary Independent Oversight Panel, which would monitor and evaluate, in real time, the UN's response to individual allegations of sexual offenses. It would be empowered to intervene immediately when current practices or actions pose or could pose further harm to victims or witnesses. "The remedy is to remove this entire issue from the hands of the United Nations Organization and put it where it belongs – in the hands of the governing body and in the hands of the 193 Member States," she told the Committee. Watch the testimony or view the transcript. Read the Code Blue Campaign’s written submission to the Committee. The UN has a practice of looking exclusively to international authorities for analysis and solutions. The Code Blue Campaign is committed to hearing from the true experts. Code Blue launched a pilot “Community Consultation” at Mile 91, a town in Sierra Leone's Northern Province, Tonkolili District. 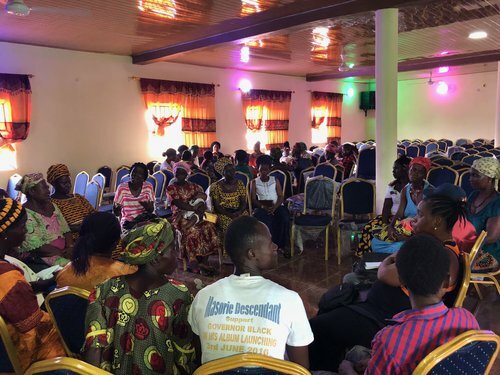 More than 100 Sierra Leoneans came out to tell us their stories, offering a critical perspective on sexual exploitation and abuse committed by UN peacekeepers. The event was part of an ongoing initiative to hear from community members who live or have lived among peacekeepers. The Community Consultations are part of a range of listening projects the Code Blue Campaign is launching to gather firsthand accounts from the people, primarily women, whose knowledge and insight can inform lasting solutions to the ongoing crisis of sexual exploitation and abuse. At Mile 91, memories were fresh of the UN peacekeeping mission known as UNAMSIL, which operated in Sierra Leone from 1999 to 2006. Many of the residents spoke of abuse that they had either experienced directly or heard about from others. 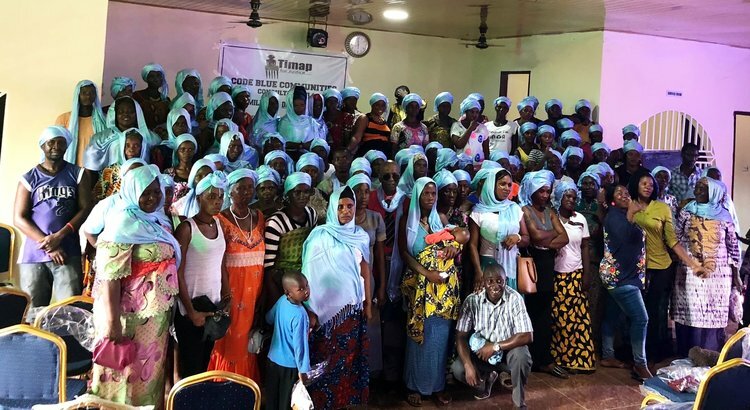 Our local partner in Sierra Leone is Timap for Justice, a national NGO that provides essential justice services to indigent Sierra Leoneans through a network of community-based paralegals. With our support, Timap is busy organizing additional large-group discussions in diverse former peacekeeping communities in Sierra Leone. We are planning additional Community Consultations in other former and current peacekeeping countries. The Code Blue Campaign is lending support to Prashanti Tiwari, an Indian civil society advocate whose struggle with the United Nations bureaucracy has become a cause célèbre in India. Tiwari, who led the much-celebrated Bandhan Tod Campaign against child marriage, lodged sexual harassment and assault allegations against Diego Palacios, the United Nations Population Fund (UNFPA) Representative for India and also Country Director for Bhutan. After filing a criminal complaint with the police in Bihar, India, Ms. Tiwari wrote to India's Ministry of External Affairs, requesting that immunity be lifted, which would permit the Bihar police to conduct a proper and thorough investigation. The UN asserted immunity, effectively shielding the alleged perpetrator and witnesses from the Indian government's legal processes. Instead of fully complying with the Indian police, the UN placed severe restrictions on the ability of police to interview witnesses and, meanwhile, opened an internal administrative "investigation," which has no legal authority to establish the facts of the incident and no authority to usurp the authority of the national courts of India. "The way the UN has been tackling these cases, and the way sexual harassment cases are pervasive, raises some serious questions in the entire organization," Tiwari told the press. The Code Blue Campaign has launched a multi-pronged initiative to see that Prashanti Tiwari receives the justice she deserves. Read more about UN immunity in our latest primer. The Code Blue Campaign has analyzed the core of the UN Victims’ Rights Advocate's roles and functions. We have identified five fundamental reasons why this position cannot be salvaged. To read our comprehensive critique of what Secretary-General António Guterres describes as the centerpiece of the UN’s response to its sexual abuse crisis, click here. Few controversies reveal the systemic dysfunction at the core of the UN’s “systems” for addressing sexual offences better than the trouble at UNAIDS, which has been a concern of the Code Blue Campaign for months. Of late, the British government has been a focus of Code Blue’s advocacy because of its role as the current chair of the Programme Coordinating Board (PCB) of UNAIDS. The PCB is establishing an "independent expert panel" to examine sexual harassment and abuse policies and procedures at the UN entity. The panel is one in an array of attempts by UNAIDS to contain the fallout from the botched internal investigation into sexual harassment and assault allegations against Luiz Loures, former Deputy Executive Director of UNAIDS – an investigation that included the bizarre and improper intrusion of Michel Sidibé, Executive Director of UNAIDS. The British official was Danny Graymore, DFID’s lead on the PCB. "We need to know why the board decided that when this awful case hit the headlines, with the UN and its agencies in such disrepute, why did they decide that they were going to strike an independent expert panel which will assiduously and determinably according to its own job description, avoid looking at individual cases, and would only review policies and procedures to find gaps," Donovan said in the article. Read our critique of the reopened investigation into the Loures case and our Spotlight on UNAIDS, with links to the international media coverage. Saramba Kandeh was a featured speaker at the African Leadership Centre/King's College London Alumni Conference in Nairobi, Kenya. During a wide-ranging talk on the priorities and projects of the Code Blue Campaign, Kandeh, AIDS-Free World's Legal and Gender Associate, described our proposal for a Special Court Mechanism, which would end the UN’s conflicted role in handling allegations of sexual abuse made against is own personnel. The Mechanism would have a lean, mobile structure and be staffed by expert police, lawyers, and judges appointed by and reporting to Member States rather than the Secretary-General or any part of the UN Organization. It would launch initially in peacekeeping countries whose police and judicial structures were deemed insufficient and are therefore regularly circumvented by the UN Organization. The Special Court Mechanism would handle the intake of all claims of sexual exploitation and abuse lodged against UN peacekeepers, conducting the initial inquiries to establish the facts of each case. Upon making an unbiased determination that military personnel had been credibly accused of criminal acts, the Mechanism would, first, refer the cases to the soldiers' troop-contributing countries, which are responsible for investigation and prosecution, and, then, follow up until the cases are concluded. But its most important role would be to close the accountability gap for non-military peacekeeping personnel. After determining that UN civilian staff and experts had been credibly accused of crimes, the Mechanism would conduct a neutral, thorough investigation and, where necessary, prosecute alleged perpetrators. The Special Court, Kandeh told the Conference, “would clearly establish victims’ rights under the law, grant due process, and create consistent international standards for sexual crimes.” She described the Mechanism as “the only solution to the crisis of sexual exploitation and abuse,” ending UN processes that are now marred by double standards and conflicts of interest. To learn more about Code Blue's proposal for a new, independent Special Court Mechanism, click here.